Anyone who tells you they expected to the Cowboys to win 13 games, including a playoff game, in 2014 when the season began is a liar. Now, what do the Cowboys have to do to repeat their success in 2015? When Scott Linehan was brought in last offseason to be the Dallas Cowboys' passing game coordinator and offensive play-caller (but not offensive coordinator, whatever) there was some obvious trepidation. The thought was that the Cowboys would be a good running team after they ended the 2013 season on a high note on the ground and were building one of the league's best, young offensive lines. Linehan's history as the offensive coordinator in Detroit didn't give people much reason to believe the Cowboys would stick to that running gameplan given his history of leading the Lions' high-flying passing offense. But what we saw this season was basically a perfect offense under Linehan's direction. It was essentially unstoppable with the league's best offensive line, with all due credit to "offensive coordinator" Bill Callahan, the league's best running back, the league's best quarterback (at least according to passer rating) and a top-3 wide receiver in football who led the NFL in touchdown receptions. Taking all of that into consideration, you'd think the Cowboys' offense was pretty good, and by god, it was. Now, Linehan is a free agent, much like head coach Jason Garrett, defensive coordinator Rod Marinelli and Callahan all were. 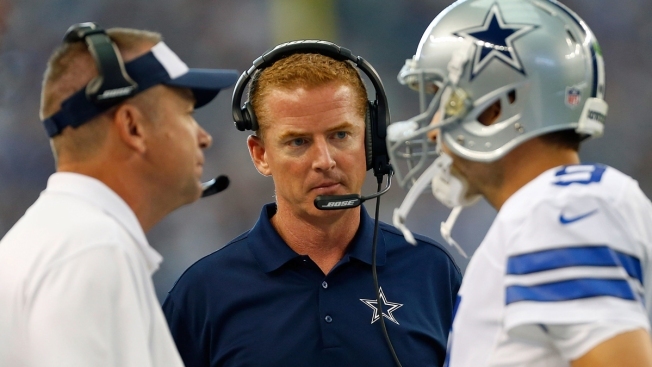 Garrett has been re-signed, and all reports say Marinelli has, too. Callahan will probably leave, but the Cowboys need to make signing Linehan a big priority with other teams showing interest in him as a head coach. There are reports surfacing that Jack Del Rio will be hired by the Oakland Raiders, which takes away one of the teams that was interested in Linehan, so that's a good thing for the Cowboys. Having Linehan back in the fold would be huge for continuity on the Cowboys' staff which will now include Garrett and Marinelli once again. If they can keep this staff together, it'd go a long way toward building on their 13-5 season in 2015.